Today in the morning a group of pro-Russian militants of about 100 men armed with small firearms, grenade launchers and with armored personal carriers entered Kominternove village located 10 km from Mariupol city. Kominternove is located in so-called “gray zone” on a contact line between Ukrainian army and illegal armed groups of “Donetsk People’s Republic”. The number of militants according to the data that our intelligence has is equal to reinforced company (up to 100 men). There are probably up to 5 tanks and 5 armored personnel carriers. This is the latest information. Below we translated official statement posted by Press Center of Anti-Terrorist Operation Headquarters. Russian-terrorist troops entered “gray zone” near Mariupol and increase the number of weapon banned by Minsk Agreements along the contact line. 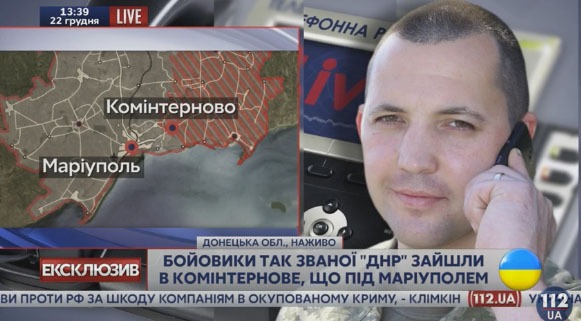 According to data that ATO Headquarters has today in the morning militants of pro-Russian illegal armed groups numbered up to one reinforced company with armored vehicles entered Kominternove village located in “gray zone” close to Mariupol. According to information of Press Center of ATO Headquarters militants were armed not only with small firearms and grenade launchers, but also with armored vehicles, probably tanks and other heavy weapon, which is banned by Minsk Agreements. The information about brutal violation of agreements by units of Russian-terrorist troops was provided to representatives of Joint monitoring mission of OSCE via Joint Centre for Control and Coordination (JCCC). This is an evidence that illegal armed groups controlled by authorities of Russian Federation don’t follow agreement and this is another provocation against ATO forces. Besides that according to the latest information the enemy increase the number of weapon banned by Minsk Agreement near the contact line close to Mariupol. There is at least one tank spotted at the suburbs of Kominternove and 4 tanks South-West of Zaichenko. 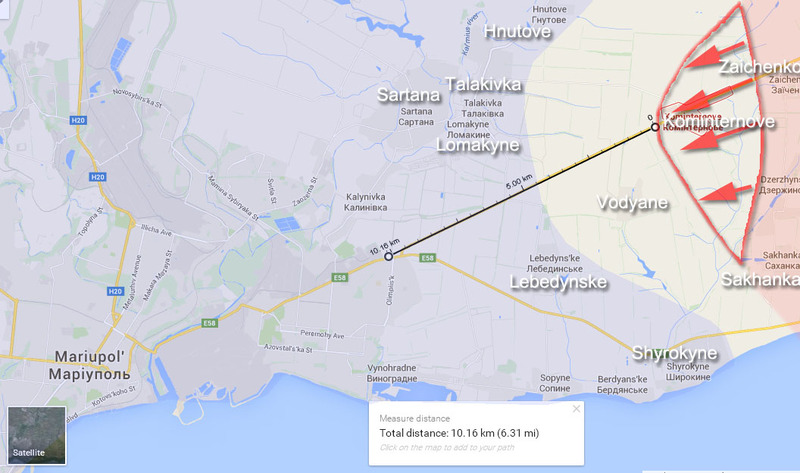 There is also information that militants have BM-21 “Grad” MRLS near Sakhanka village. At the same time ATO Headquarters and commanders of the units that are located near Mariupol are doing everything needed in order to prevent further escalation of the conflict and ready to react to possible aggression from the side of illegal armed groups. ATO units have enough forces along the contact line for effective operations. The SMM met in Mariupol two residents (a man and a woman, approximately 50 years old) of Kominternove (23km east-northeast of Mariupol). According to them, the explosive devices at the south-western entrance to the village (see SMM Daily Report 29 October 2015) were still in place. Both opined that a controlled detonation to remove the devices could damage nearby houses. They claimed that on 16 December they had seen Ukrainian Armed Forces soldiers in the village, while on 17 December they had seen a group of “DPR” armed men. They stressed what they said was lack of construction material for winterization in the village and insufficient coal supplies. In the area of the south-western entrance to Kominternove (23km north-east of Mariupol), the SMM saw at least two anti-tank mines and two anti-tank rockets taped together and connected to wires on the road leading to the village. On the roadside of the north-western outskirts of the village, the SMM observed two anti-tank mines, one anti-personnel mine (on the ground and uncovered), unexploded ordnance (UXO), and the body of a dead dog, which had possibly been killed by an anti-personnel mine (possibly bounding mine). ATO Press Center reported that pro-Russian militants made several attempts to attack Ukrainian fortifications near Donetsk and Lugansk tonight. In total there were 39 cease-fire violations registered in the last 24 hours in the East of Ukraine, 2 Ukrainian soldiers were wounded. Illegal armed groups used 82 and 120 mm mortars banned by Minsk Agreements. Yesterday night the situation in ATO zone got more complicated. Starting from 18:00 the enemy shelled positions of ATO forces near Mariinka 8 times using small firearms and grenade launchers. Enemy unit of at least 30 men attacked Ukrainian positions (in same area near Donetsk), ATO forces units pushed the enemy back. Militants retreated with casualties. There was another attack near Shchastya in Lugansk Region. A group of militants had at least 10 men. But for them the result of the fight was same. Taking wounded and killed they retreated to their positions. Military provocations against Ukrainian soldiers continued in other areas along the contact line as well. The enemy continued to shell Ukrainian positions near Pisky, Opytne and South of Avdiivka. Krasnohorivka was shelled with the use of anti-aircraft guns and 82 mm mortars. Also militants shelled fortifications of ATO forces near Zaitseve (not far from occupied Horlivka) using 82 mm mortars. They also used grenade launchers, small firearms, 120 mm mortars and tanks weapon banned by Minsk Agreements. Near Mariupol the enemy shelled Ukrainian positions near Starohnativka using 82 mm mortars. In total in the last 24 hours there were 39 cease-fire violations from the side of pro-Russian hybrid armed groups and 2 armed clashes. 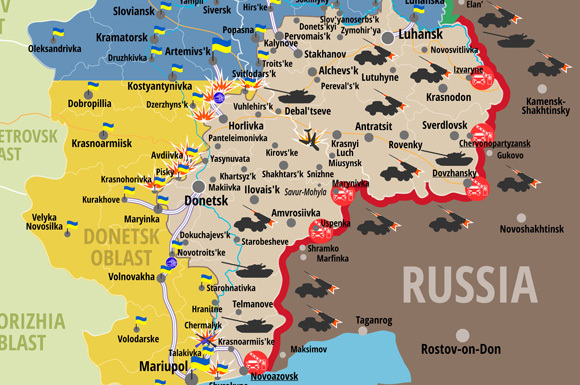 Starting from midnight militants violated cease-fire 6 times. All those violations were registered near Pisky, Opytne and Avdiivka, the enemy used small firearms, high caliber machine guns and different types of grenade launchers there. Below is the map that describes the situation in ATO zone in the East of Ukraine in the last 24 hours, you can also see full size map 3000x2994 here. Security Service of Ukraine detained militant of so-called Donetsk People’s Republic who joined separatists in 2014 and was trained on a military base located in Russia near Rostov-on-Don city. Lieutenant of armed forces of terrorist organization DPR was detained by Security Service of Ukraine. The terrorist had AK riffle with grenade launcher and night vision goggles. In 2014 the militant joined separatists. He was a member of terrorist group “OPLOT”. He said that there were about 400-500 so-called “militia” (Russian and Ukrainian citizens) training on a military base, later they were taking part in military activities on temporary occupied territories of Ukraine. He went to Russia twice and was trained for artillery service under the command of officers of regular Russian army on a training ground located near Rostov-on-Don. He also said that officers of regular Russian army serve as “advisers” at armed groups of terrorists. Security Service of Ukraine also posted a video of detained militant where he explains how he got recruited and where he was trained in Russia. Below is also transcript of what he said translated into English. My name is Sergey, born in 1989, citizen of Ukraine, resident of Torez city. As a member of “OPLOT” I took part in Anti-Maidan. On July 12 2014 I voluntarily joined terrorist organization DPR. Because there was a shortage of artillerymen, I was sent to a training center with 40 other men that was located in Rostov-on-Don. In the training center I studied artillery service under command of Russian officers. There were not only Ukrainian citizens, but also Russian citizens who were later sent to Donbass. After 1 month of training our group with military equipment and ammunition was sent to Donetsk People’s Republic. Cossacks were not informed about our movement and the group got under friendly fire, only 7 men survived. Because I was seriously wounded I wasn’t able to take part in military activities. I stayed there as instructor. I got military rank “Lieutenant”. In October 2014 I was sent to Rostov again to improve my skills. After 2 weeks of training I returned to Snizhne where I was training artillery units. 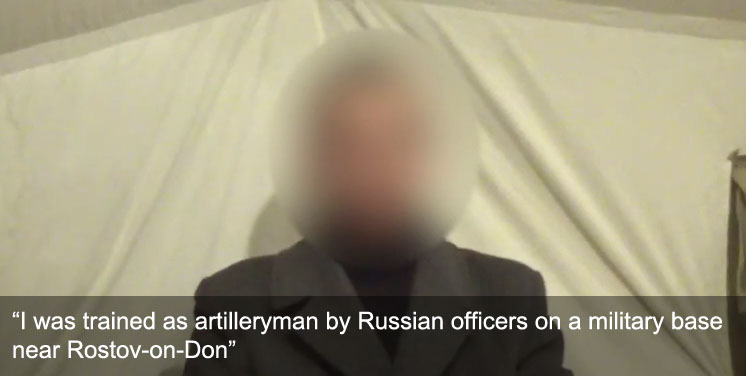 “Advisers” in our military unit were Russian officers. ATO Press Center reported that pro-Russian militants violated cease-fire agreement 40 times in the last 24 hours, they also used banned 82 mm mortars at night. 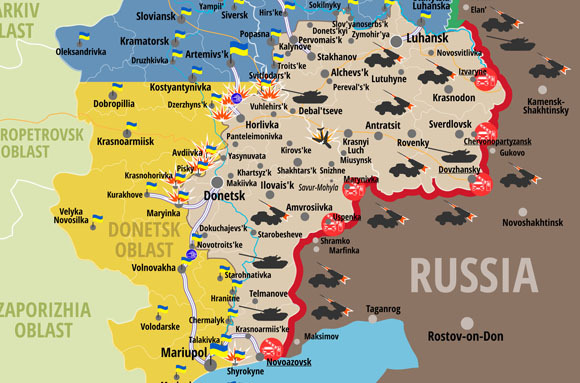 Most of the attacks were near Donetsk and Horlivka. 2 Ukrainian soldiers were wounded, no KIA. Today militants of pro-Russian hybrid criminal groups didn’t stop armed provocations against ATO forces. They shelled Ukrainian positions in Novhorodske and Opytne located near Donetsk using small fire arms and grenade launchers. Snipers also took part in attacks there. In the same area of the contact line near Krasnohorivka bandits were shelling soldiers of ATO using 82 mm mortars. Mortar attacks were also registered near Zaitseve. Also Kremlin mercenaries were shelling Pisky, Opytne, Novhorodske, Mayorsk, Luhanske and Zaitseve using small fire arms, high caliber machine guns and grenade launchers. In total there were over 15 cease-fire violations from the side of illegal armed groups along the contact line. Tonight militants of pro-Russian illegal armed groups continued provocative attack on positions of Ukrainian soldiers in ATO zone. Bandits were shelling Mayorsk located near Horlivka using mortars and they attacked Novhorodske using small fire arms. Enemy sniper also took part in attacks there. During the night Kremlin puppets also attacked Zaitseve using grenade launchers and sniper weapon, Luhanske was attacked with the use of high caliber machine guns, Mayorsk was attacked with the use of small fire arms. The biggest number of cease-fire violations was registered near temporally occupied Donetsk. 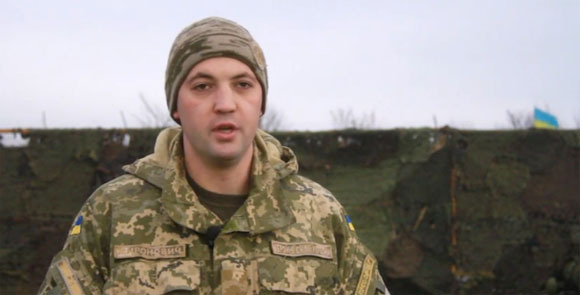 Opynte, Avdiivka, Mariinka and Pisky were under attack. The enemy mostly used small fire arms, high caliber machine guns and grenade launchers. Also tonight bandits of pro-Russian hybrid armed groups shelled Krasnohorivka 7 times using 82 mm mortars banned by Minsk Agreements. In total during the night occupants were trying to provoke Ukrainian soldiers to violate cease-fire agreements 25 times. But they didn’t succeed in their attempts. ATO Press Center reported 65 cease-fire violations in the last 24 hours in Donetsk and Lugansk Regions in the East of Ukraine. Pro-Russian militants attacked Ukrainian positions near Donetsk using grenade launchers, high caliber machine guns, BMP armored vehicles and 120 mm mortars banned by Minsk Agreements. 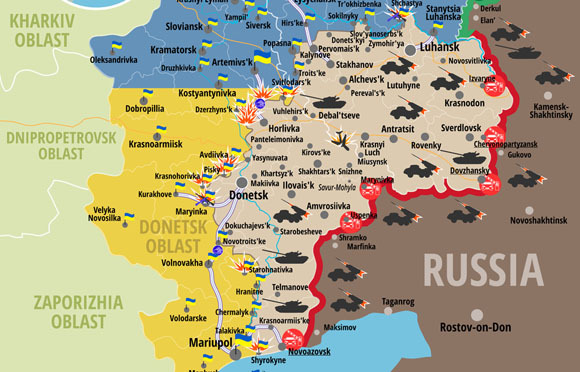 Today on December 10 illegal armed groups of Russian-terrorist troops continued to do provocations in the ATO zone. Most of cease-fire violations from the side of the enemy were registered near Donetsk. Militants shelled our positions in Pisky several times using small fire arms, they also shelled Opytne and Novhorodske using high caliber machine guns. Enemy sniper attacked Ukrainian positions near Novhorodske. 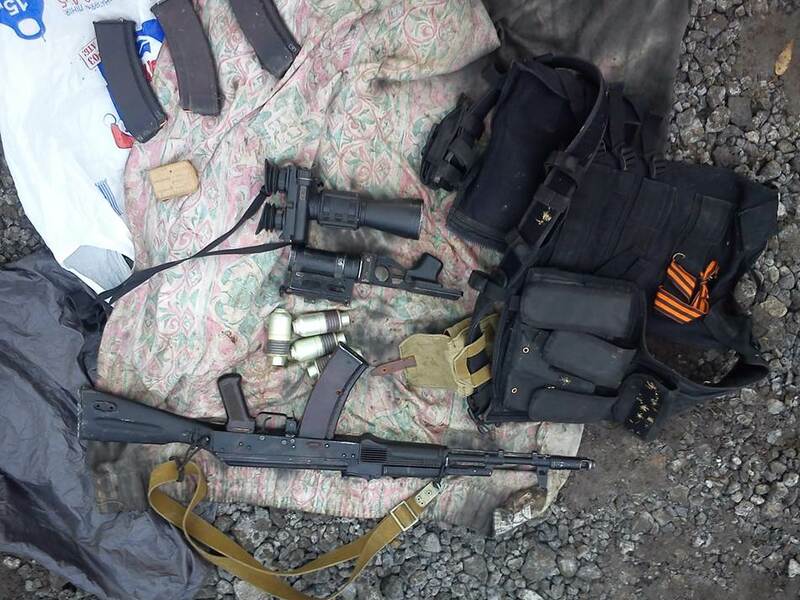 Criminals shelled Starohnativka located near Mariupol using high caliber machine guns and grenade launchers. They also attacked Hranitne using same weapon and also BMP armored vehicles. Near Artemivsk enemy shelled Ukrainian positions in Mayorsk and Zaitseve using anti-tank grenade launchers. Enemy sniper attacked Ukrainian soldiers near Luhanske. In Lugansk Region there was one attack with the use of high caliber machine gun near Nyzhnyoteple village. In total militants attacked 25 times during the day. 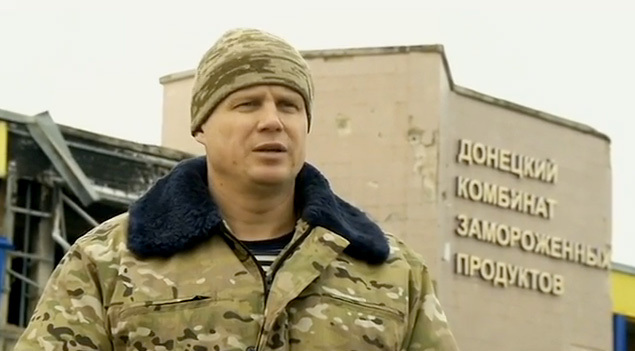 The situation in ATO zone remains tense, but it is stable and under control of our military. There were about 40 cease-fire violations from the side of Russian-terrorist troops overnight. Criminals continued to shelled positions of ATO forces near temporarily occupied Donetsk. They shelled Opytne, Pisky, Novhorodske, Krasnohorivka using small fire arms, machine guns and different type of grenade launchers. Several dozen of 120 and 82 mm enemy mines from mortars landed in the suburbs of Krasnohorivka. Enemy also shelled our positions near Zaitseve using 120 mm mortars. Also during the night enemy used high caliber machine guns, grenade launchers and sniper. 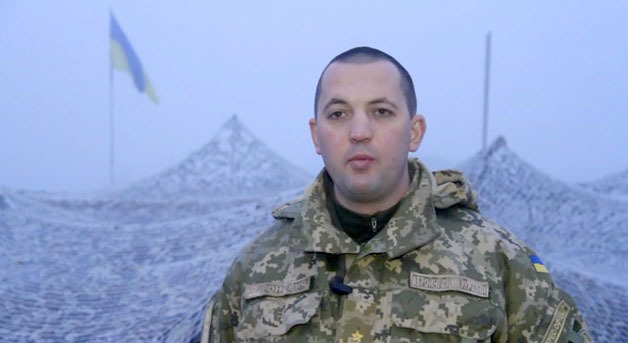 There was no information about casualties among Ukrainian soldiers during the night. In the last 24 hours no Ukrainian soldier was killed or wounded. At the same time the situation in the East of Ukraine remains tense. Pro-Russian militants attacked Ukrainian positions 68 times in the last 24 hours. ATO Press Center reported that the enemy used 82 mm mortars banned by Minsk Agreements. So far this is the highest number of cease-fire violations since August 29 when 74 violations were reported. Today terrorists shelled again using 82 mm mortars banned by Minsk Agreements. The attack was from the direction of Zalizna Balka in the direction of Novhorodske. The shelling could be qualified as provocative, but mines were landing in the city suburbs. The enemy was shelling Zaitseve, Mayorsk, Luhanske, Opytne, Mariinka and Avdiivka using grenade launchers, high caliber machine guns and small fire arms. In the morning they attacked Krasnohorivka from the direction of Staromyhailivka using 82 mm mortars, BMP-1 armored vehicles, high caliber machine guns and small fire arms. Our positions near Avdiivka were attacked with the use of grenade launchers and small fire arms. In the evening mercenaries shelled Verhnyotoretske using 82 mm mortars. In total there were 17 shelling during the day. From 18:00 yesterday and till 6 am today mercenaries dramatically increased the number of shelling near Donetsk, Artemivsk and Lugansk. They were shelling in the direction of Novhorodske, Verhnyotoretske, Krasnohorivka and Zhovte using 82 mm mortars. Near Donetsk militants used different types of grenade launchers, high caliber machine guns and small fire arms to shell Avdiivka, Opytne, Verhnyotoretske, Krasnohorivka, Mariinka and Pisky. Near Artemivsk they shelled Zaitseve, Leninske, Mayorsk, Zolote and Luhanske. In Lugansk Region mercenaries shelled positions of ATO forces 5 times. Criminals shelled Sokolniki using 82 mm mortars. Near Donetsk they shelled Mariinka, Verhnyotoretske, Novhorodske and Pisky using mortars, grenade launchers, high caliber machine guns and small fire arms. In total there were 51 shelling in the reported period of time. You can see locations attacked by pro-Russian militants in the last 24 hours on the Google Map below. 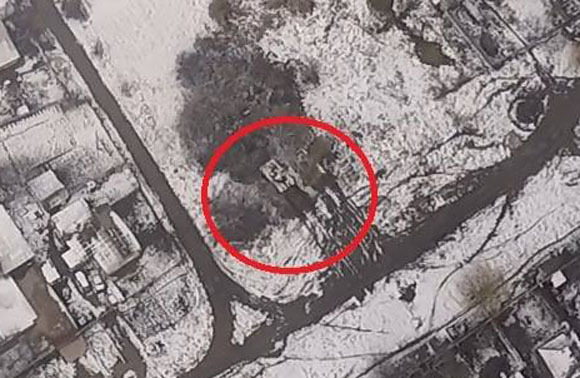 ATO Press Center posted a photo of the enemy tank located near the contact line outside of Horlivka as a proof that pro-Russian terrorists continue to violate withdrawal line. OSCE also reported 12 towed howitzers (D-30, 122mm) that were not withdrawn by militants according to agreement made in Minsk. Today, on December 6, enemy tanks were spotted in Ozeryanivka and Zaitseve villages located on the contact line near Horlivka. 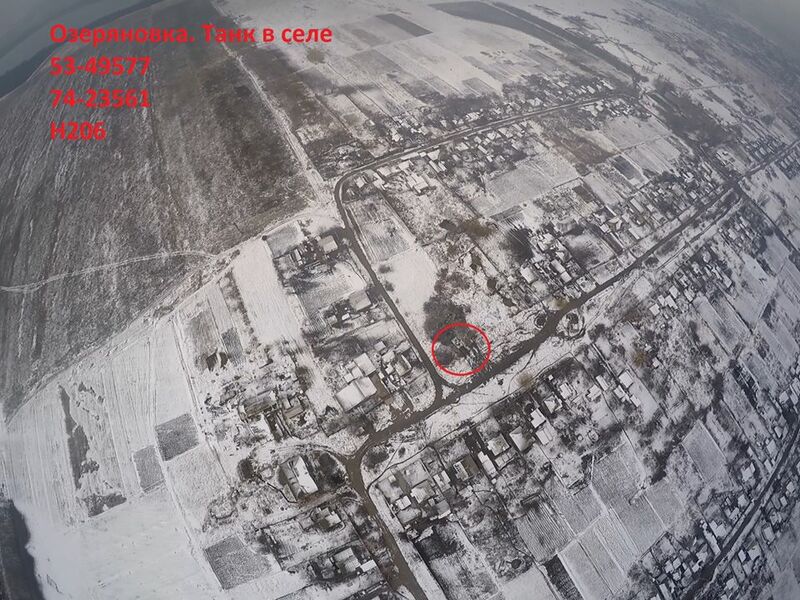 See exact location of the tank in the photo made by Ukrainian drone on Google map at N 48°16’29” E 37°58’08”. Below is the closer look. At 9:24hrs on 5 December, an SMM patrol comprised of four SMM monitors and the SMM medical officer in two armoured vehicles arrived at a field in the vicinity of “Lugansk People’s Republic”(“LPR”)-controlled Yurivka (26km south-west of Luhansk), where the SMM had observed 12 towed howitzers (D-30, 122mm) during previous visits – in violation of the relevant withdrawal line (see SMM Daily Report 26 November 2015 and SMM Daily Report 1 December 2015). The SMM drove towards 12 howitzers (D-30, 122mm) and at 100-150m distance, it spotted three armed individuals standing near one of the howitzers. When the SMM further continued driving towards the howitzers and was at 80-100m distance, one of the armed individuals released a burst of fire into the air with an automatic rifle and another individual pointed his automatic rifle at the SMM. The armed individuals shouted at the SMM. As a consequence, the SMM immediately left the area. There were no injuries to SMM members or damage to SMM vehicles. 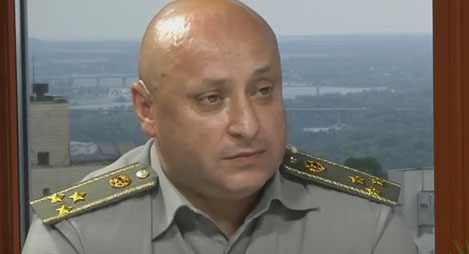 Subsequently, the SMM addressed the incident with senior “LPR” members, who acknowledged the seriousness of the incident, and said that they would examine it and inform the SMM accordingly. ATO Press Center reported 11 cease-fire violations in Donetsk Region in the last 12 hours. Ukrainian Army fortifications near Shyrokyne were also attacked at night. Today in the morning ATO Press Center posted new report that covers the situation in Donetsk and Lugansk Regions starting from 6 pm yesterday till 6 am today morning. You can see original post in Ukrainian at www.facebook.com/ato.news. Below is full translation of their post into English. Starting from 18:00 yesterday and till 6:00 pro-Russian mercenaries violated cease-fire agreement 11 times along the contact line. At 20:20 the enemy was shelling out fortifications near Shyrokyne for half an hour. Also the enemy sporadically shelled our positions near Mayorske, Avdiivka, Luhanske, Pisky and Krasnohorivka using grenade launchers, high caliber machine guns and small fire arms. 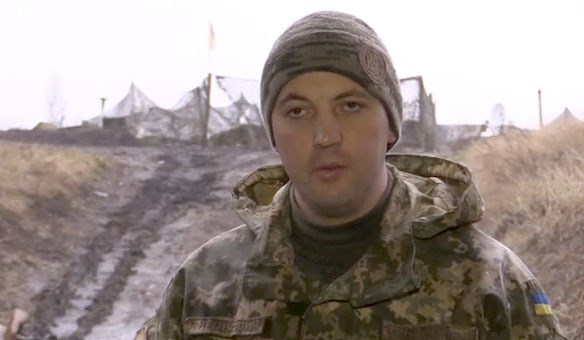 Since the distance between out positions and the enemy was pretty big and they didn’t attempt to get close to fortifications of military units of Armed Forces of Ukraine, our soldiers didn’t return the fire. 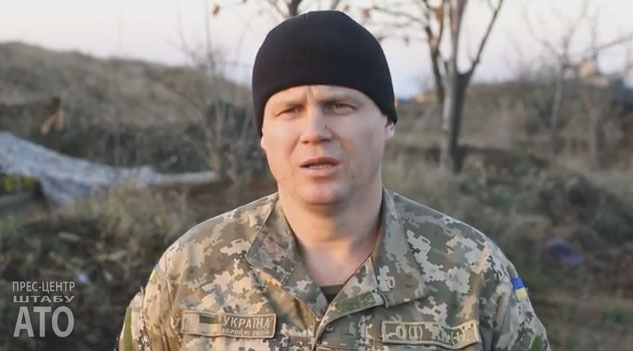 As it was reported on a briefing today by Col. Andriy Lysenko, speaker of President Administration on ATO, in the last 24 hours 1 Ukrainian soldier was killed and 3 soldiers were wounded. 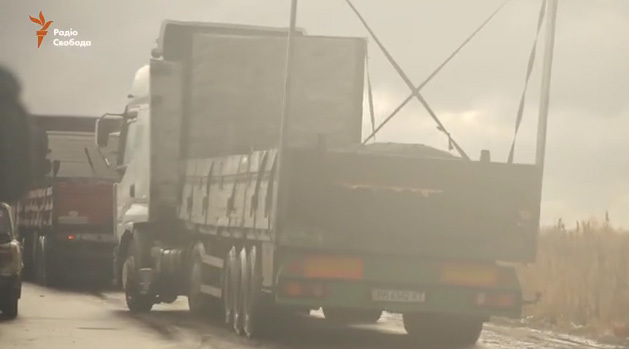 Tons of coal get illegally transported from Lugansk to Russian Federation by trucks every day. Reporters of Radio Svoboda posted a video taken at the border checkpoint controlled by illegal armed groups of so-called Lugansk People’s Republic. Trucks with coal go 24/7 from the territory of Lugansk Region which not under Ukraine authorities control to Russian Federation via “Dolzhanskiy” border checkpoint, located near Sverdlovsk. Everyday there are about 30 trucks. There are different vehicles, many that are not designed to transport coal. Trucks get in a line separate from the rest of the cars and buses. Those who didn’t cross the customs spend a night in a field next to remains of burnt military vehicles. In Summer 2014 there was a lot of fighting, the checkpoint from Lugansk side is in ruins. From the Russian side everything looks fine. At Russian customs trucks with illegal coal get through scanners and go to unknown destination further deep into Russian territory. The coal is good quality, a lot of it ends up in the villages located near the border. 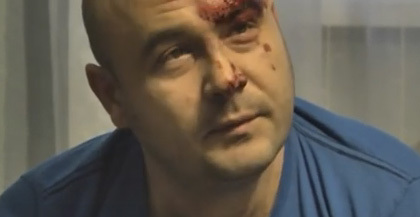 You can see the video of Radio Svoboda below. Special Monitoring Mission of OSCE reported many times that they saw trucks taking coal to Russia going through the border checkpoints controlled by pro-Russian militants. The information below was reported on November 14, 2015. Along the Ukraine-Russian Federation border, in Donetsk region, the SMM visited three crossing points. In “DPR”-controlled Marynivka (79km south-east of Donetsk), the SMM counted 59 heavy trucks loaded with coal and nine civilian cars waiting to cross into the Russian Federation. According to some interlocutors (four men and two women), the average waiting time for the civilian cars was 15-20 minutes on the “DPR”-controlled side, while some of the truck drivers told the SMM they had to wait for over 20 hours. Two of the truck drivers told the SMM that high quantities of coal were transported into the Russian Federation over the last couple of days. So-called “Minister of Fuel, Energy and Coal Industry of Lugansk People’s Republic” (LPR) Dmitriy Lyamin banned coal export with the use of trucks starting from September 5, 2015. Just few weeks after that on October 17 he was arrested by so-called “Ministry of State Security”. This created a conflict inside LPR. At the time when Dmitriy Lyamin was arrested the head of LPR Igor Plotnitskiy was in Russia, but he immediately made a statement that he fires the head of “Ministry of State Security” Leonid Pasechnik and ordered to release Dmitriy Lyamin. But Pasechnik didn’t resign from his position and Lyamin was not released. Plotnitskiy returned to Lugansk few days later but the conflict didn’t develop any further. Today Ukrainian authorities regained control over 2 villages near Mariupol located in so-called gray zone on the contact line in the East of Ukraine. This was confirmed by Vladyslav Voloshyn, the speaker of General Staff of the Armed Forces of Ukraine. The information that Ukrainian Army took control over Pavlopil and Pyshchevyk villages leaked to the Internet early in the morning today. Those villages are located on the territory between Ukraine controlled part of Donetsk Region and the territory controlled by so-called Donetsk People’s Republic. Reporters of “112 Ukraine” TV channel called Vladyslav Voloshyn in order to confirm the information. Those 2 villages, Pavlopil and Pyshchevyk were located in so-called “gray zone”. That is a territory that goes along the contact line. 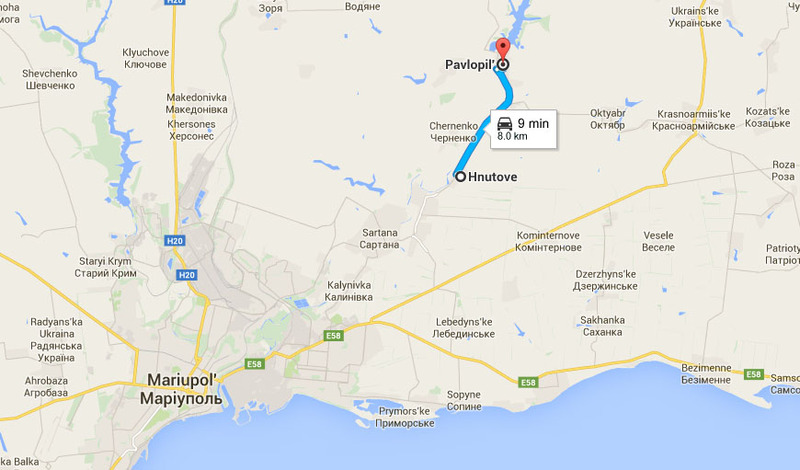 There is a checkpoint “Hnutove” located on the road from Pavlopil to Mariupol near Hnutove village. Now this checkpoint will be moved close to Pyshchevyk, a little closer into the gray zone. Those 2 villages were not under control of illegal armed forces, there was no administration, no legal Ukrainian authorities. Now there will be military commander office, representatives of the Ministry of Internal Affairs, Emergency Situations Service and Military-Civil Administration. The bus route from Pavlopil to Mariupol will be restored. Below you can see Pavlopil on Google Map. About a week ago on November 25 the head of Donetsk Regional Administration Pavlo Zhebrivskyi said on his Facebook page that there was a decision made to move checkpoint from Hnutove to Pyshchevyk-Pavlopil. Today together with ATO command we made a decision to move the checkpoint from Hnutover to Pyshchevyk-Pavlopil. This will allow to move checkpoints away from Mariupol and that will make the life of people easier, and this will also get several villages our of the gray zone. I am grateful to ATO command.